These Guitar Boy/ Girl Digital Paper and Clipart, Acoustic Music, Musical Notes for Birthday, wedding, School, Scrapbooking Paper Party Theme, 12x12 Printable Digital background papers are ideal for creating various art projects such as scrapbook layouts, invitations, greeting card, labels, gift tags, stickers, and more. 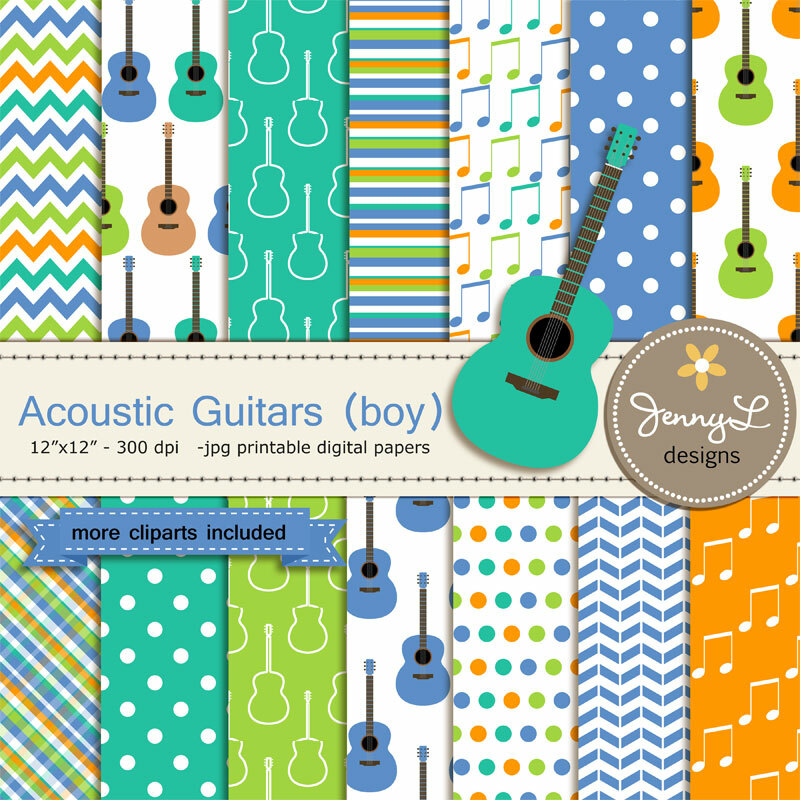 These acoustic guitar digital papers and cliparts are available at my ETSY store. Those digital papers are perfect for crafters and hobbyist bec. they can use them on many projects. 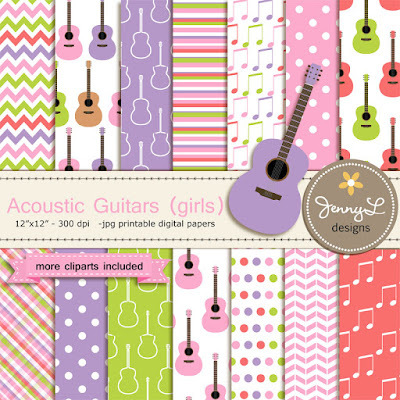 However, if you are musically inclined and want to on a real guitar, you can find best acoustic guitars at guitarcenter.com online. Playing musical instruments is also a great hobby that anyone can get into. Just a word of caution, learning instruments will not happen overnight, you need to practice, practice and practice for you to be able to master or play them well. Good luck!